Description A dusty nebula discovered in 1780 by Méchain. The pair of stars that excite M78 stare out like a pair of eyes. 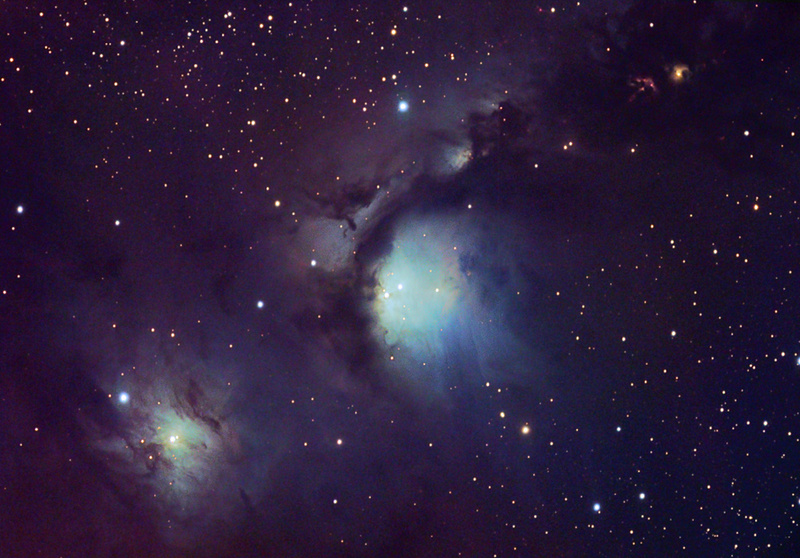 The fainter but nicely structured reflection nebula NGC 2071 is off to the lower right. Close attention shows that the whole 30' x 46' field with north on the left is filled with nebulosity.